As style and sophistication go, you can do it any way you want with a ceiling fan. They make the room look very classy. There are sizes to fit any space, so you can have a fan in the smallest or the biggest room of your house. Some fit flush to the ceiling, others hang down like pendants. Do you like classic, or contemporary? Perhaps something in between? Indoor, outdoor, period specific? Brushed steel, or polished nickel? Black, bronze, wood finishes? There are so many styles to choose from and with Minka Aire’s designs, every style is a conversation piece. For your home, style is not enough. The style you choose needs to be functional, and ceiling fans are highly functional. They come with lighting kits so that you can combine light and temperature in one unit. This is very useful if you are in a small space, or replacing an existing lighting piece with a ceiling fan light. The best thing about a modern ceiling fan is that they really make a difference to the temperature of the room. They may not do more than move the air around, but they can certainly make a difference to your heating and cooling costs. They are useful in summer and the winter. By reversing the direction of the blades, you can cool your house in summer, and warm it in the winter. The cost to run them is minimal, so you can put one in every room. Minka Aire’s ceiling fans, like their light fixtures and other products, are not only high on style and functionality, they are high on quality too. The finishes, whether metal or wood, are fine, and the products are manufactured to the highest industry standards. The motor is quiet, as Minka Aire understands how essential that is to the performance, and to your enjoyment of it. The motors can be run uninterrupted for a long time without damage. 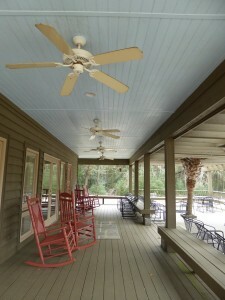 You will be able to enjoy your Minka Aire ceiling fan for a long time. With the Minka Aire ceiling fans from Crescent Harbor (www.crescentharbor.com), the one thing that might give you some trouble is choosing. With fans that provide a variety of styles, a huge selection within the style you choose, and quality that will let you use the fan for a long time, choosing just one really is the difficult part. Once you do choose, you will be very glad you did.